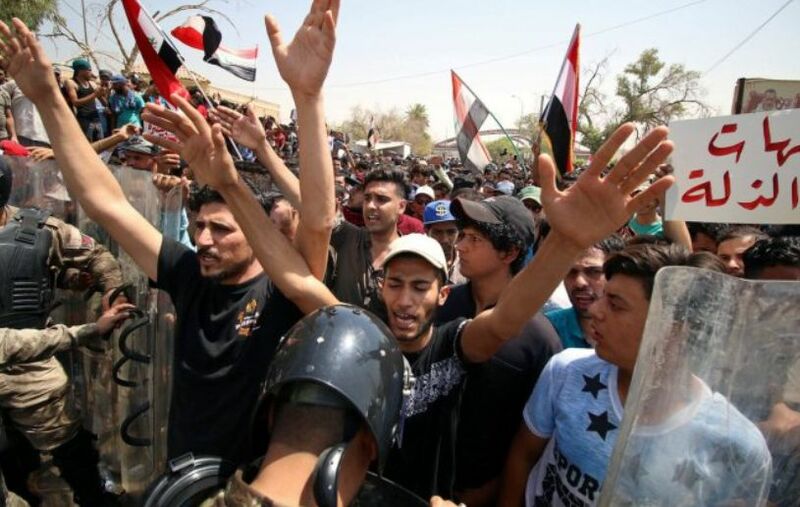 Iraqis have been demonstrating for days in immense protests across southern Iraq—in Basra, Nasiriyah, Amarah, Kut, Karbala and Najaf—demanding basic services and rights, including water, electricity, and jobs. The frequency of demonstrations targeting oil fields, ports and airports, and the headquarters of political parties has mounted in recent days, especially as the temperature climbed to 48 degrees Celsius and higher. Organizers threatened that if their demands for water, basic services, and jobs are not met, the demonstrations will continue and grow. This is a critical moment for the Iraqi government to ensure Iraqis’ access to clean water and to provide basic services, especially electricity. At the same time, international oil companies should provide jobs and social benefits to Iraqis, and take all necessary measures to protect the environment. A week ago, demonstrators gathered in Basra at the entrances to three Iraqi oilfields: the West Qurna field run by Lukoil, the Rumaila field run by BP and the West Qurna field run by ExxonMobil. Protesters accused the foreign companies of polluting the water and the environment in the city of Basra and more widely throughout southern Iraq; of failing to provide social benefits for the cities in which they work; and of not providing jobs for Iraqis. On July 10th, a group of demonstrators from Garma, in the north of the province of Basra, denounced environmental destruction and demanded “treatment of high water salinity that has killed the trees and plants and destroyed our land”. The protests intensified after Iraqi police opened fire in an attempt to disperse dozens of protesters near the West Qurna field, killing one person and injuring three others. The demonstrators, who include large numbers of young people are supported by several tribal leaders, then surrounded other oilfields. On Tuesday July 17th, In front of the al-Zubayr oilfield in Basra, Iraqi police used batons and water cannons to disperse around 250 protesters gathered at the main entrance to another major oilfield managed by the Italian company, Eni, as reported by Reuters. The day before, dozens of people in the district of Rifai, in the north of the province of Dhi Qar, began an open sit-in in front of the Malaysian company, Petronas, which operates the Gharaf oilfield; they too are demanding the improvement of the services. Civil society, the government and the oil companies must work together to promote a long-term strategy to respect and protect the environment and the right to water. The tribes of Al-Jazaeer Coalition in the province of Basra, which is composed of the tribes of Bani-Asad, al-Sharash, Bani-Mansour, al-Saad, Bani-Malik, al-Imarah, Al-Boutiqikh, Mayah, al-Ganass, Halaf al-Boukatab, Halaf al-Tamar, Alwan, and others, published a statement shared by the Baghdad News Agency, saying that Basra, especially the districts of al-Midaina and al-Qurnah and their subsidiaries, do not reap the benefits of the work and profits of international oil companies, but experience “only environmental pollution as a result of clouds of smoke” and “the destruction of agricultural land and the pollution of water”. Their statement also called on oil companies to “improve the service situation and infrastructure of the districts and areas in which they are located”. “Why do young Basra people have to beg for a job while the oil companies hire foreign workers? 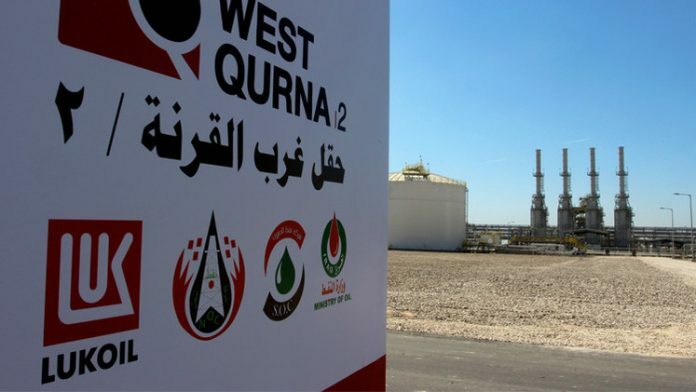 This is not fair and must stop, otherwise we will not just demonstrate near the oilfields, but we will hit them”, Reuters quoted one of the organizers of the demonstrations, Faleh Darraji, who also said, “We want to get jobs, we want to drink clean water, we want electricity”. Another demonstrator, 25-year-old Hossam Abdel-Amir, an unemployed university graduate from Basra, declared, “We want to be treated as human beings and not like animals.” In a dramatic appeal, the provincial council of Maysan, on Monday, called on the central government to evacuate foreign workers from Iraqi oilfields and other sectors, and to replace them with citizens from the province. The Iraqi Civil Society Solidarity Initiative calls for multinational companies that are working in Iraq to take immediate steps to evaluate the environmental and water impacts of their activities, to limit and mitigate their negative impacts, and to open a transparent dialogue with local community residents about these issues and about providing the necessities of life, especially water and electricity. Lack of clean water and environmental degradation are growing problems and must be addressed immediately. This year, the issue of water tops the list of protesters’ demands in the south, where Iraqis suffer especially severely from a scarcity of water. Citizens cannot find drinkable water and farmers can no longer carry out their work and earn a living. The water crisis has been caused by a lack of rain, high levels of salinity in the rivers, and increased water evaporation due to extremely high temperatures. In addition, the construction of Turkish and Iranian dams and projects on rivers they share with Iraq, that were undertaken without studying their impact on the water rights of Iraqis or their environmental and biological impacts has severely exacerbated the crisis. Over the past 15 years, the Iraqi government has failed to take action to stop such projects. The government of Iraq this year banned the cultivation of a number of crops including rice and maize because of the lack of water. In a speech to the United Nations Security Council, the Iraqi minister of water resources stressed that security and peace in Iraq were at great risk if the lack of water continued. Thousands of people may be displaced and become migrants due to the scarcity. Iraq is suffering from serious environmental degradation due to neglect. Humat Dijalh, an Iraqi environmental NGO released a report showing the seriousness of the pollution affecting the Tigris River, which huge numbers of Iraqis depend on for drinking water and to irrigate their agricultural lands. 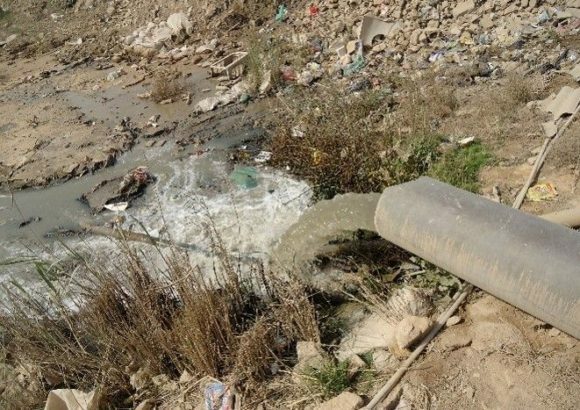 The report addressed a situation in Baghdad, where the Doura refinery and the City of Medicine, two official institutions, pollute the river, as just one example. Following its meeting in Manama, the UNESCO World Heritage Committee warned the Iraqi government it must protect the Iraqi marshes, which have been included on the World Heritage List, stressing that the Iraqi government must pay attention to the impact of oil exploration and extraction within the marshes of southern Iraq and in nearby areas. The Committee also called upon the government to assure minimum water quotas to sustain the marshes. The government is attempting to provide additional water to Basra and has offered hundreds of jobs to the residents of Basra in an effort to avoid escalation of the protests. The organizing committees of the demonstrations responded that if the government does not implement all their demands, the demonstrations will continue and there will be “revolution”. The Iraqi Civil Society Solidarity Initiative calls on the Iraqi government to move quickly on two tracks: first, to provide drinking water for all Iraqis, to stop pollution, to end unauthorized and irresponsible use of water resources, and to promote new, economical and sustainable irrigation technologies. And second: to work with neighboring countries to initiate comprehensive negotiations to halt Turkey’s construction of the Ilisu Dam and all other “mega projects” being built by Turkey and Iran on the Tigris River until there are fair agreements among all nations sharing the river.